Barcode Label Maker for Publisher and Library allows you to create book barcode labels, stickers and tags in different shapes, colors and sizes. Barcode Generator Software creates printable barcode labels for publishing industry, book seller, book retailer and libraries to track book information. Barcode Creator Tool is developed with advanced barcode designing view which provides Line, Text, Ellipse, rectangle and other designing objects to generate book barcode images. Generates scanable linear and 2D book barcodes labels, stickers and tags. Creates customized barcode images in various colors, shapes and sizes as per your need. Provides printing settings that helps user to print designed barcode images. 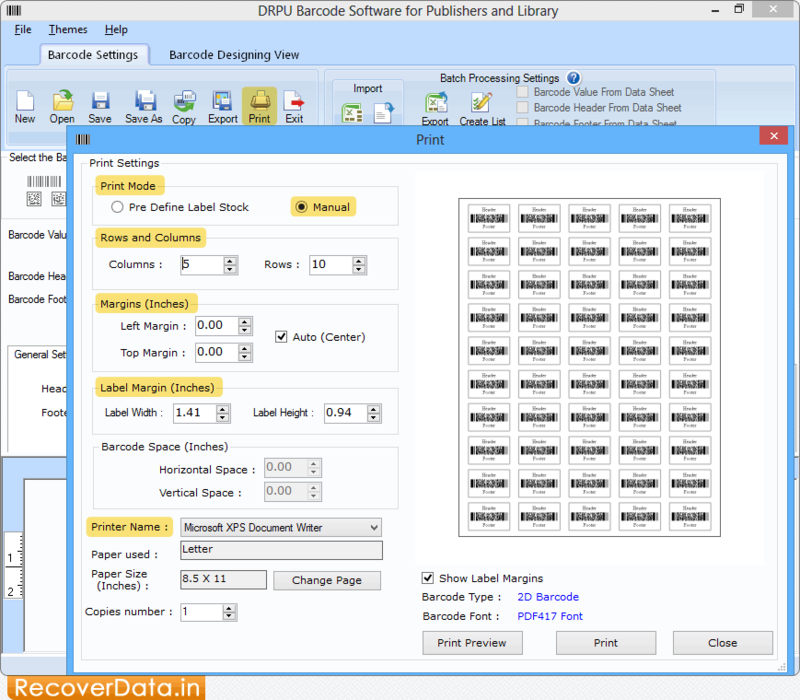 Creates bulk numbers of barcode tags, stickers, coupons and rolls using barcode batch process. Allows user to save designed barcodes in major graphics format like GIF, PNG, Bmp, EXIF and TIF etc.